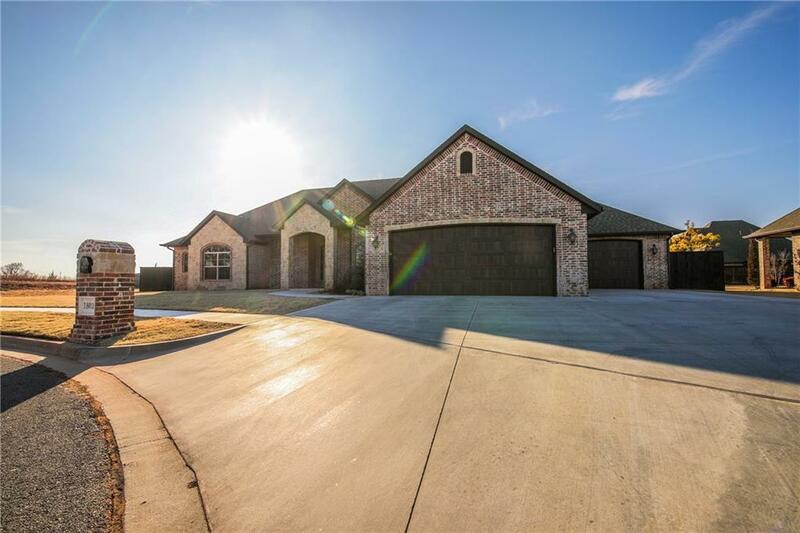 1803 Buckskin Court, Blanchard, OK.| MLS# 852749 | Oklahoma City Real Estate | Apple Realty, Inc.
Grand home with small-town charm. Built for entertaining with inground pool, fire pit, hot tub and fireplace on patio. Three bedrooms, plus office, plus two bonus rooms give multiple options for living arrangements and hobbies. Sitting on a cul-de-sac so traffic is nearly non-existent. Large kitchen with breakfast bar, built in coffee maker, built-in ice maker, built-in commercial fridge and R.O. drinking water system. One owner custom built home. Envelope spray foam insulation. Storm shelter in the garage floor. Dog run with concrete wash area. Walking/riding distance to schools, shopping, and dining. Front and back yard sprinkler system. Electric outlets on eve of home for holiday lighting. Too much to list. Ask your Realtor for a complete list. Two bonus rooms not calculated in square footage. Buyer to verify square footage.